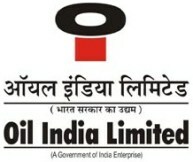 Oil India Limited published an official notification for Recruitment of Senior Officer, Senior Engineer for 47 posts. Eligible candidates can apply for this recruitment. You can view more details about this recruitment including No. of posts, name of post, Educational qualification, Age limit, Selection process, How to apply etc... You can also view official notification and other important facts about this recruitment e.g. Important links and Important dates. Senior Officer: Post Graduate degree in Management/ Business Administration / Personnel Management. / Social Welfare / Social work / Industrial Relations/Mass Communication / Public Relations / Social Work / Rural Management. Senior Engineer: Graduate or Post Graduate in relevant Engineering. Experience: View More Detail in our Mentioned Link of Adv. Application Fee: Candidates have to pay Rs.500/- through Online. No fee for Scheduled Caste / Scheduled Tribe / PWD Candidates. Final selection will be based on Written Test, GD & Viva-Voce & Pre Employment Medical Examination.